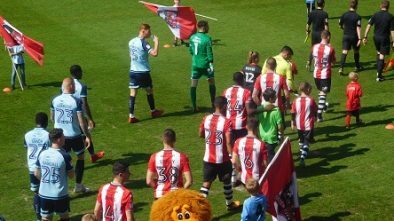 In arguably City’s biggest match of the season (for the supporters at least), Matt Taylor’s Grecians turned in arguably their best performance of the season in sending former manager Paul Tisdale and his various ex-City players and staff home with their tails between their legs after a 3-1 win that was perhaps more emphatic than the scoreline suggested. Not only that, but successive victories have put a spring in the step, something that will definitely be needed given a tough run of fixtures continues with a trip to arguably the in-form side in the division in recent months. 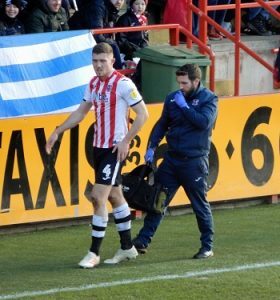 Matt Taylor’s decision to let Jordan Tillson go to Cheltenham was perhaps predicated on bringing in another midfielder, thought to be ex-Blackburn midfielder Willem Tomlinson, but his decision to sign for Mansfield meant a place on the bench for yet another highly rated youngster, Will Dean, against MK Dons, and Dean may be on the bench again this weekend. After a tepid season following a failed promotion bid in 2016/17, Keith Curle departed in the summer, to be replaced by a man with more clubs than Tiger Woods in John Sheridan. Early signs weren’t particularly impressive, but there were signs by the Christmas period that Sheridan had got things going and the Cumbrians were emerging as serious promotion contenders, only to do what Sheridan seems to do, and jump ships in what was considered a strange move, swapping the higher reaches of League Two for a National League relegation scrap with one of his 89 former clubs, Chesterfield. Aside from one blip at Northampton while managerless, things have continued unabated for Carlisle under new manager Steven Pressley, who has two wins and two clean sheets to his name so far. 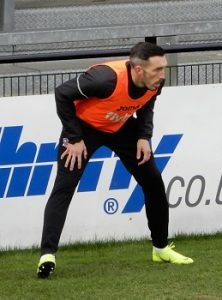 Pressley got busy in the transfer market, perhaps his most eye-catching signing being the loan of Mark Cullen, who starred in the fourth tier with Luton and Blackpool and is likely to make his debut on Saturday (last Saturday’s match having fallen foul of the weather). Hallam Hope, Jamie Devitt and Ashley Nadesan all have nine goals in all competitions to their name and will provide a threat. Sheridan’s first match of his brief reign was a trip to City where fellow debutant Matt Taylor got the upper hand with a 3-1 win, the goals courtesy of three new signings in Law, Forte and Abrahams – Bennett scoring for Carlisle. City, through a solitary Pierce Sweeney strike, took the honours at Brunton Park last season, those wins extending City’s league head to head lead, with 24 wins to Carlisle’s 19 (16 draws). 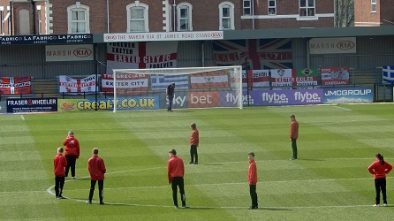 Just the one game for Matthew Donohue in charge of Exeter City, the 0-0 draw away to Grimsby in October.